Rose-marie has had a long and adventurous career in Human Resources that spans over continents and has impacted thousands of individuals. She has relentlessly pursued the improvement of personal and organizational performance through the various roles she has been engaged in. Her deep experience in the senior ranks of the HR field as a Certified Human Resources Leader, has given her the intuitive insight into how to use the Executive and HR functions as a powerful lever for organizational change. 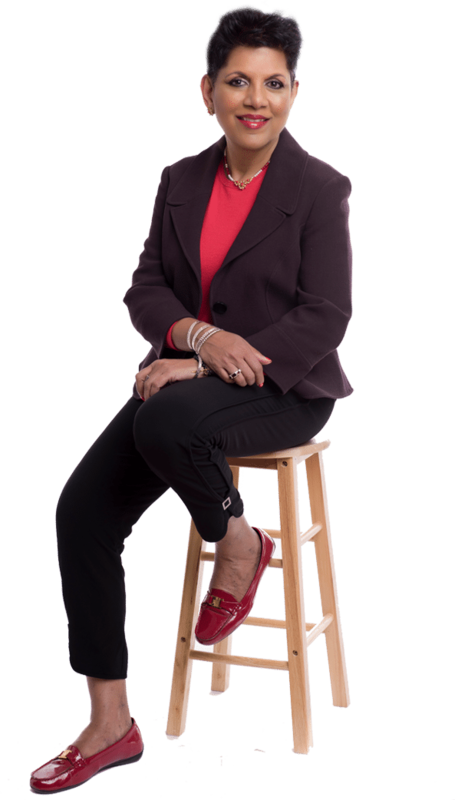 She combines many years of professional global experience with a passion for facilitating “breakthrough” results. This unique blend of skills, experience and personal dedication come together into a distinctive coaching style that is welcomed by individuals and organizations alike. Rose-marie has held senior HR positions in organizations in Canada and internationally. She has acted in HR consulting roles as a “Change Agent”, and has provided services in teaching, facilitating and public speaking. Rose-marie completed her CPC through the Institute of Professional Excellence in Coaching and is certified to deliver the Energy Leadership Index – an enlightening and transformative assessment tool. She leverages the Core Energy Coaching™ Process to help organizational leaders and practitioners amplify and sustain superior results. As a member of the International Coach Federation she keeps abreast of current trends in Coaching technology. A clearly outlined strategy of best practices is delivered with the passionate guidance of a collaborative and driven coach. I have spent most of my life, firmly believing that WE are more than what we perceive ourselves to be and that we were created with extra-ordinary talents that we did not know we were given as a birth right. My passion for people development, lead to a career as an Human Resources Leader and this confirmed my belief as I witnessed growth and development in individuals beyond their own expectations, which contributed to personal and organizational performance. My search for tools to help me draw out the best from people, through consulting, training, counselling finally lead me to Coaching. I have been truly blessed by having been touched by thousands of people all over the world, through their participation in workshops I have facilitated, students in my teaching programs, colleagues on projects and employment capacities. This quest for bringing out the true person lurking inside each of us, helped me develop my intuitive insight. Together with coaching tools I am honored to be the conduit that transforms individuals from who they are today to sho they desire to be tomorrow.. It is ‘awesome” to witness the development of human potential.